Typhoid Mary is stronger than ever, and Spider-Man and the X-Men know that better than anyone as they’ve been forced to fight among themselves. As her powers grow stronger, it’s only a matter of time before Typhoid Mary turns Manhattan into her own personal playground - if not her own personal ashtray. 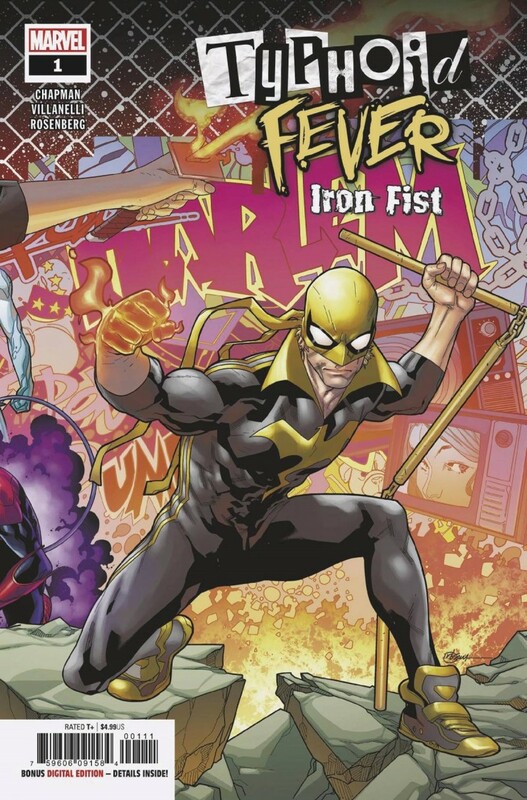 Luckily, IRON FIST is in town and willing to lend a hand?er?fist. But will the Master of Kung Fu be able to stop the flames from spreading, or will he just add fuel to the fire?